The original image is licensed under Creative Commons Attribution-ShareAlike 4.0 International. I’ve broken the huge infographic into digestible sections, as allowed by this license. Enjoy! First up, a fun video that I’m embedding in privacy-enhanced mode. Our social media profiles are as prominent as our meetspace lives these days – more so if you’re a particularly driven social media marketing geek! Quite a few, huh? Even those disused ones still tell a story about you that’s available for any dedicated tracker to find. And that’s just what’s on the surface. Beneath all the glossy stuff is the data trail you’ve left through your clickstream, preferences, and cookies. That’s why the adverts you see on Facebook and Google seem so well fitted to you – and sometimes eerily wrong. It’s not all bad. We accept cookies (the little files that are created as you tour the web) because we understand corporations pay for those ‘free’ websites with data-optimized adverts. And cookies keep us logged into the websites that we visit regularly, and recall our preferences on those sites, too. The downside is the loss of our privacy, and the ever-present threat of cybercrime. It’s unlikely you can reduce those threats to zero without seriously impairing your ability to use the web as you need to, both professionally and in your personal life. But there are a number of good habits you can get into that will help you to minimize that threat on your personal accounts as far as reasonably possible. Part 1: How to anonymize your online activity. How to go incognito on your Chrome browser, Firefox, or Internet Explorer. How to block third-party cookies. How to tailor permissions for websites that you access. Using a private browser mode such as Incognito or InPrivate will remove all traces of that session’s internet use once you close the private window. It’s still possible for your network manager or service provider to see where you’ve been (if they know how), but nobody who uses the same device after you will be able to see anything you’ve done, apart from any downloads that you leave behind. Your social media accounts will be logged out, although of course anything you’ve posted publicly online will still be visible. Limit access to your Facebook posts. Prevent non-friends from following your posts. Stop people from finding you by your email or phone. Prevent your name being linked with ads. Block Facebook Apps from accessing your data. On Facebook, it’s possible to retroactively adjust the privacy settings on specific posts, as well as to adjust the ‘default’ privacy level on future posts – i.e., so that just friends, friends of friends, or specific friends can see your posts. It’s also possible to create friend ‘groups,’ for example of friends in different areas or with shared interests, and just direct each post you make at one group or another. How to prevent Twitter from tracking you. How to stop sharing location data in your tweets. How to stop Twitter from accessing your contacts. 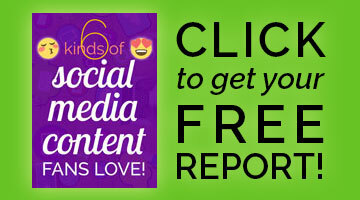 How can you deal with those publicly visible posts you’ve made? On Twitter and Instagram you can set your profile to ‘private’ in your settings, so that only people who follow you can see your posts (and from the moment you go ‘private,’ new followers will need your permission). This can also be useful for hiding your Twitter ‘Likes,’ which show up in a tab on your profile page. Unfortunately, if you’re trying to get visibility for a business account, you’ll seriously hamper your efforts by going private. But the choice is yours! 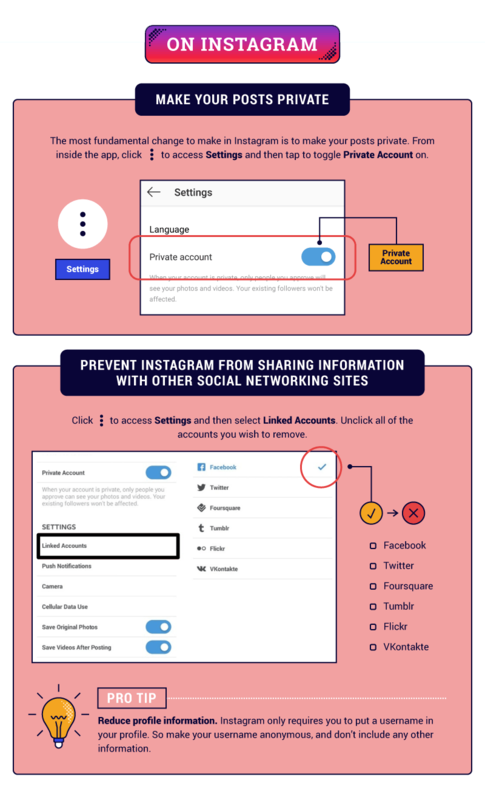 How to make your Instagram posts private. How to prevent Instagram from sharing your data with other social sites. Instagram only requires you to put a username in your profile. So feel free to make it a name no one would recognize! As stated above, you can have a completely private profile where you have to approve new followers. This is fine for a personal account, but I wouldn’t bother creating a business accounts if you don’t want strangers to find it. How to prevent non-friends from contacting you on Snapchat. How to select who can see your Snapchat Stories. How to set private Snaps to password-protected. Of 850 organizations that use mobile regularly in their operations, 100% had experienced a mobile attack! 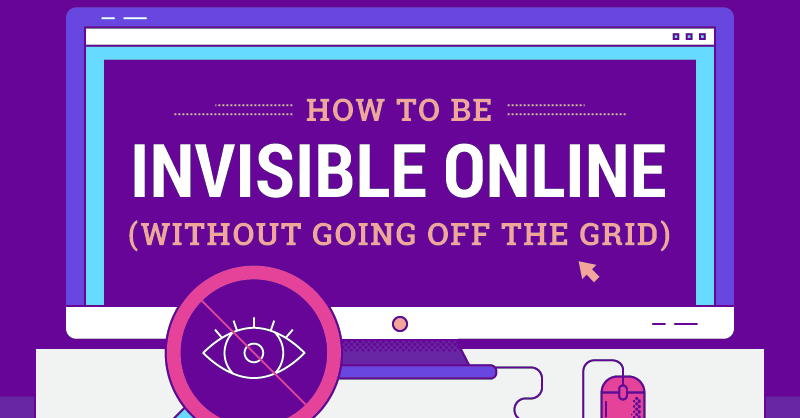 Check this section of the infographic to ensure your mobile activity is as inaccessible as possible. And this is just the start. This new resource from CashNetUSA illustrates how to complete a full privacy spring clean, so you know just where your data is – and who can see it. You don’t need to go off-grid to protect your privacy! How to stay safe on Facebook, Twitter, Instagram, and Snapchat. How to stay anonymous on your iPhone, iPad, and Android. Be sure to Pin the infographics you’ll need to refer back to. And share with others! You may also wish to check out the post, What Google Knows About You. Everyone would be wise to heed these tips on how to protect your privacy online. Very informative and detail tips. But I hardly oppose the idea of getting anonymous by only browsing on incognito mode. It is not as simple. For complete privacy you should use vpn and moreover get a dedicated ip for higher stability and security. Certainly an option for those who wish to pay. This is really very informational content. It can help a lot of people to safely surf on the internet. Also, it’s very important for everyone to use these features. Although tracking is possible in this case, but I think people can surf without any fear of hacking as it is a safer zone for them.